Next year, I am quite sure of our route. Cagbalete, Donsol and Caramoan! WOW, thanks for this cathy, i am honored that my post and my picture (and that crispy pata!!) made their way here. you'll enjoy your stay there, that's a guarantee. and for next year, caramoan's also a target of mine (as well as a couple more of not known islands). You have the knack in finding unknown but beautiful places to visit that are more inviting than the top resorts. Actually, I studied at UP until 25 (until M.S. 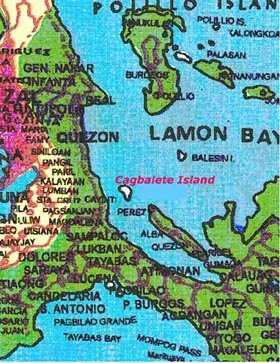 )=) Thanks for the comment but I didn't find Cagbalete island, Zherwin of My Thoughts did. But I am determined to find more other interesting places other than the more known ones. We have 7100 islands you know, there must be more unknown beautiful islands out there! You have to check out my Maniuayan island post. I'm from quezon and yes cagbalete island is very beautiful and not yet commercialized we always held fish trolling tournament there every summer.